The Hartford City Public Library is proud to be a member of Evergreen Indiana. Evergreen Indiana is a growing consortium of over 100 public, school and institutional libraries located throughout Indiana that use the Evergreen ILS. 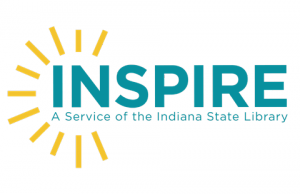 This resource sharing initiative provides cost savings for the library and access to almost 7 million items for over 1 million Indiana residents. A list of participating libraries is available on the Evergreen Indiana Communications page. Go here to sign up for your new EVERGREEN online account. You should have been issued a 4-digit password at the library. If you forget your password, contact the library to receive a new temporary password. You will then need to sign in again to access your account. You can also search the catalog without signing in but will not be able to access your personal information.